Maritime Technology and Training Center at 3700 Old Highway 146 in La Porte under construction. PASADENA, Texas – The San Jacinto College Maritime Technology and Training Center at 3700 Old Highway 146 in La Porte is set to open in January 2016. Construction has been ongoing since Fall 2014. The facility will serve as the site for certificate and associate degree maritime training delivered through U.S. Coast Guard-required and approved course work. ￼￼Suellen Denton is originally from Ruston, Louisiana, but she moved to Houston in 1997, graduating from Northbrook Senior High School in the Spring Branch area in 1998. In 1999, she went back to Ruston and graduated from Louisiana Tech University in 2003, with a Bachelor of Arts in History and French. 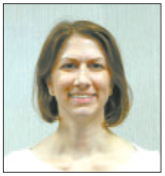 During her college years, she worked part time as a Library Page for the Lincoln Parish Library from 2000 to 2002. After graduation, she went to Officer Candidate School, Navy in Pensacola, FL where she was commissioned an Ensign. Denton left active duty and went into the Navy Reserves in 2005, and moved back to Houston where she went to work full time at Fondren Library as a Circulation Assistant at Rice University. HARRIS COUNTY PRECINCT2GATHER holds a “Senior Olympics” each year, to challenge and entertain senior citizens in a week-long series of games and sports events. 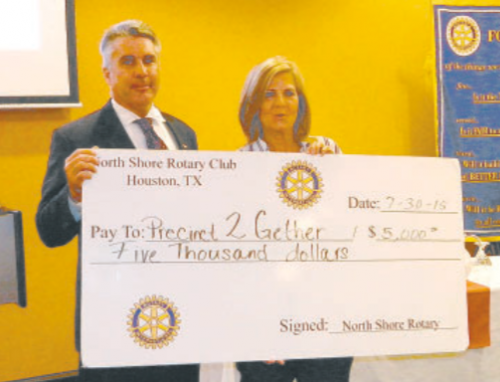 The North Shore Rotary Club supported this event with a donation of $5000. Club president Mike Williams presents the check to Pct. 2 event coordinator Diane Casey.